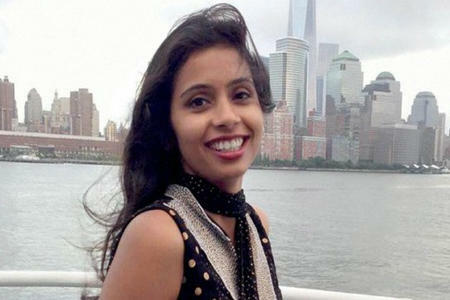 An Indian diplomat at the center of a disagreement with the United States for allegedly lying on a visa application for her maid has left the U.S.
Devyani Khobragade flew out of the U.S. Thursday night after India turned down a U.S. request to waive her diplomatic immunity. Khobragade had been serving as India's deputy counsel general in New York. However, on Thursday - following standard procedure - U.S. officials accepted India's request to change her accreditation to the United Nations as a diplomat, giving her full immunity. Once she had full immunity, the State Department asked India to waive it so that Khobragade could face charges. But India denied the request. The spokesman said the charges against her will not be dropped upon leaving the country, and she will face them if she returns.